The German army used several ordinances for camouflage on their vehicles during WWII. 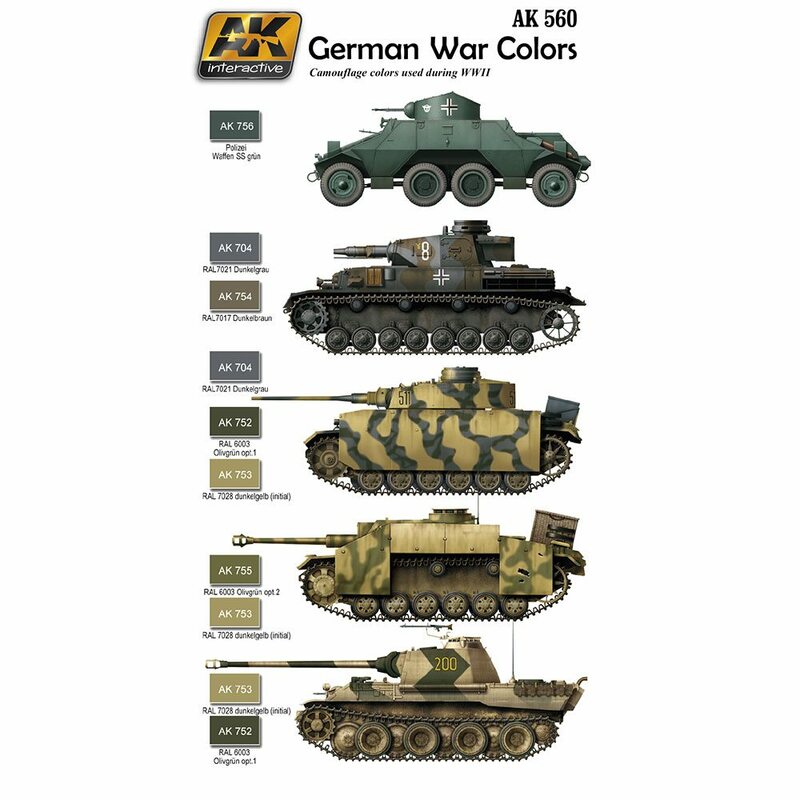 This set includes the most important colors in use from 1937 to 1944, and includes 6 colors designed to represent the initial Dunkelbraun and Dunkelgrey camo, the middle war version of Dunkelgelb and a green color used by Waffen SS and Polizei units on light and second line vehicles. 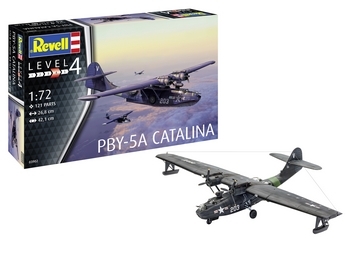 Finally, the set also includes two different versions of Olivegrun, allowing the modeler represent the different paint conditions and faded effects for this color. For the first time we will be able to paint German tanks without complex mixes and hours of research. 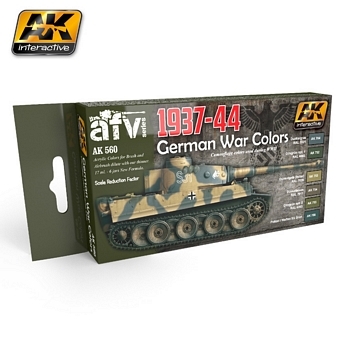 To ensure historical accuracy AK paints have been designed taking into account the Scale Reduction Effect*; AK acrylic paints are water soluble and can be applied by brush and airbrush; additionally, AK paints are free of odors commonly found in aggressive solvent based paints. AK756 Polizei / Waffen SS grün.